Common Spaces is an experimental performance that translates spatial poetry into a multidisciplinary collaborative environment that gathers the physical and the virtual spaces. This performance mixes in realtime distinct types of media in a sort of multi-modal orchestrate. 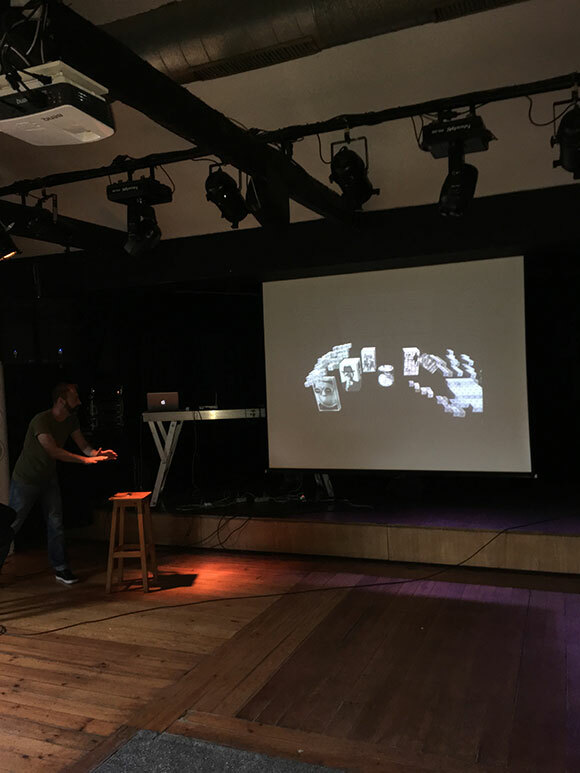 A multi-sensorial performance based on our hand gestures (Leap Motion), vision (camera) and voice (microphone). The common-space derives from the notion of common ground as the medium and the process of communication. It can be understood as a mutual understanding among interactors – as the iterative process of conversation for exchanging evidences between communicators – as an interface.